AIM Solder, a leading global manufacturer of solder assembly materials for the electronics industry, announces twelve members of their global technical support team are now IPC-A-610 certified. All twelve members are officially Certified IPC specialists. The CIS or Certified IPC Specialist program is designed to focus on what line workers, operators, inspectors, and buyers need to know to inspect or make acceptance/rejection decisions. The IPC-A-610 certification gives AIM’s technical support team the knowledge and understanding of industry requirements according to the IPC quality standard. With this accomplishment, AIM and its global technical support team show their continued ability to provide the highest quality of technical support and recommendations to their current and potential customers. 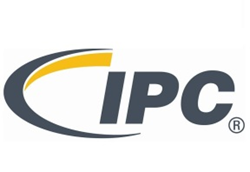 “I am pleased twelve members of our global technical support team are now IPC-A-610 certified,” said Karl Seelig, AIM’s Vice President of Technology. “As Certified IPC Specialists, our global technical support team demonstrates AIM’s relentless commitment to providing unparalleled service to the electronics assembly industry."